Creams for Scars: Do they help eliminate or reduce scar tissue on the body? Scars left behind by surgery or injury are definitely embarrassing, particularly if they’re left behind on one’s face. If you buy a special cream for scars, you’ll be able to significantly reduce the appearance of scars over time. Both skin and scar tissue contain the protein, collagen. The general composition of collagen in scar tissue forms in a different way apart from normal skin tissue. While typical skin tissue forms in a basket weave formation of collagen fibers, scar tissue weaves into cross-links forming in one direction. • Keloid scars are raised scars that rest above the natural surface of the skin. These scars can even affect mobility, based on the location of the scar, in addition to its size. • Contracture scars tighten the skin. These scars typically form after a burn heals over and may make moving around feel painful. • Hypertrophic scars are much like keloid scars, in that they’re raised scars, but don’t further extend past an injury site. • Acne scars are left behind by moderate to severe bouts of acne. It causes “pitting” within one’s skin that extends in a wave-like pattern upon the skin. Can Creams For Scars Help Fade Scars? Cream for scars primarily work by introducing vitamin E and other essential vitamins back into one’s skin. This all natural method helps shrink and smooth out scar tissue into the skin surrounding the scar. Applying a cream for scars promotes the circulation of blood within the area, facilitating the healing process and fostering smoother skin. How Do I Apply Scar Cream? For the best results, you should apply different creams for scars as directed, according to the manufacturer instructions. • Wash the area with soap and water to disinfect and clean the scar. You can gently exfoliate healed scars to remove any dead skin cells. • Apply the cream to your fingers or the scar site and rub the cream for scars in a circular motion. Work the cream into your skin to help its ingredients penetrate deep into the dermis. This also helps promote blood circulation. • Keep rubbing the cream for scars until it disappears into your skin, a process that takes a few minutes to perform. • Don’t forget to repeat this process daily for the best results! New scars typically respond better to this treatment, though older scars do have a chance at fading with this particular treatment. Applying cream for scars daily for a few weeks or months at a time produces the best results, and it also needs to be applied consistently. 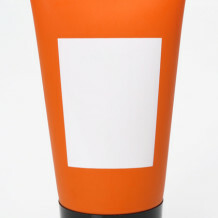 If you’re going into the sun, use a high SPF sunscreen to prevent skin discoloration during your treatment process.